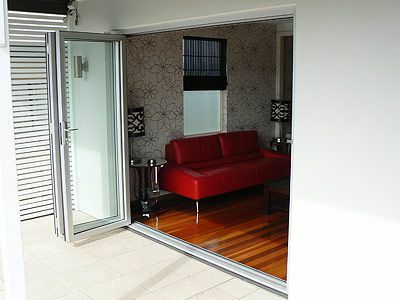 The old adage ‘Looks great, doesn’t work’ was totally true of the doors in this appealing modern home. 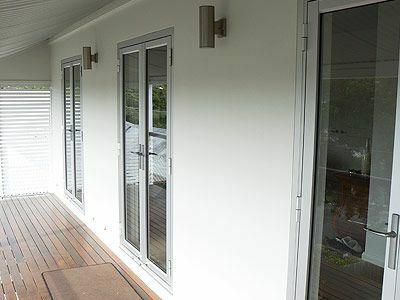 Timber bifolds and french doors would rattle when the wind blew, let in draughts and were difficult to lock, compromising the home’s security. 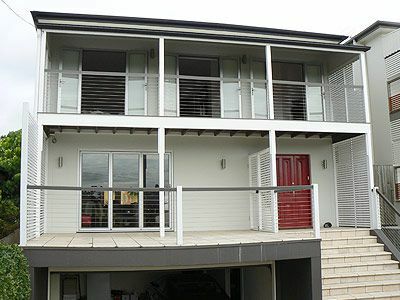 Upstairs, the three sets of timber french doors were replaced with aluminium doors which we repositioned slightly to allow them to open fully and avoid the previous situation where they constantly blew shut even in a gentle breeze – adding magnetic stoppers means they are secure even in high winds. 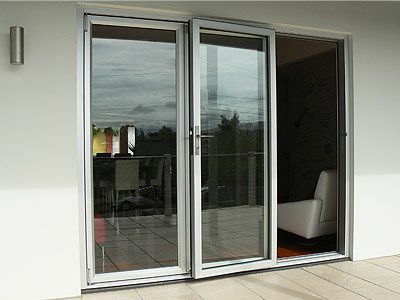 If you’re looking to replace some french doors in your home, contact Gallagher Brothers Aluminium for a quote.